Located in Sydney’s West and founded in 1788, Parramatta is Australia’s second oldest city. Over the years, this bustling area has evolved from the ancestral home of the Burramatta clan of the Darug First Nations, to the foundation of a young European colony, to a modern commercial centre. Parramatta is a city where the past and present mingle and coexist to create a land that is rich in history and culture. Originally built in 1793, Elizabeth Farm bears the proud title of the oldest building in Australia. This idyllic homestead was created for John and Elizabeth Macarthur, Australia’s wool industry pioneers and originally spanned 1000 acres. Littered with family letters and newspapers, Elizabeth Farm truly is a living museum that allows visitors to curl up in front of an open fire and dream of the colonial life. Foodies will also love the tearoom which offers a scrumptious Devonshire Tea, complete with fresh jam and clotted cream as well as a stunning array of aromatic teas. 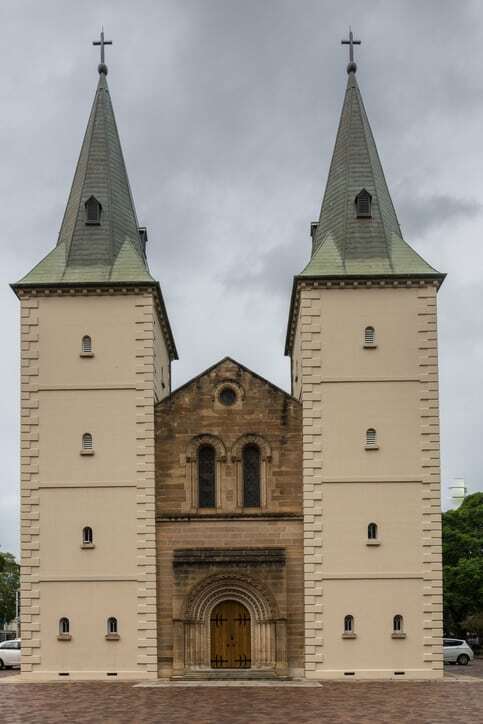 Situated on Parramatta’s famous Church Street, the site of St John’s has had a church since 1803, and featured the only church in the colony at the time. One of the most unusual and interesting features of St. John’s Anglican Cathedral is its twin steeples, which were completed in 1819. Visitors to the church will enjoy its multilingual congregations in English, Mandarin, Cantonese, and Persian Farsi that take place in this inspiring setting. Built by convicts from 1799-1816, Old Government House and its accompanying garrison buildings claim the title of the oldest-surviving public buildings in Australia. The house was originally a country residence for New South Wales’ first ten governors, including the famous Governor and Mrs Macquarie who were said to prefer the fresh air of Parramatta. These days, the house and its surrounds are recognised as a World Heritage site and boast a historically rich collection of early colonial furniture. Nestled in the Dairy Precinct, the Dairy Cottage was built between the years of 1796 and 1805 as the home of ex-convict, George Salter. The building bears the title of Australia’s only 18th century convict-built cottage and offers visitors a unique insight into Australia’s colonial past. History buffs, in particular, will appreciate the unique architecture that forms the unique makeup of Dairy Cottage with its clay walls, hardwood ceilings, and low doorways. Found on the corner of Marsden and George Street, this stunning Georgian building was built in 1821 for John Hodges, an ex-convict famous for using his card game winnings to apply for a Liquor Licence. Brislington offers a unique insight into the past, with photographs and equipment for the 1890s on proud display. Medical professionals and patients alike will marvel at the old-school operating tables and equipment, and realise that we have truly come a long way since then! Parramatta is an area rich in culture and history, so make sure you reserve your accommodation in our conveniently-located serviced suites on Church Street and George Street.